Going grey in style might work for some celebrities, but at State Street Barbers, we understand that it’s not for everyone. After all, there’s nothing wrong with wanting to look like your best self. If your best self includes not having grey hair, we’re here to help. State Street Barbers is proud to offer grey blending services at all of our four Chicago barbershop locations—Old Town, River North, Lakeview, and Lincoln Square. Unlike traditional hair coloring, grey blending is done to achieve a very subtle look, similar to your natural shade. This color treatment is quick and easy, taking about 20 to 30 minutes. The process camouflages grey hair with a washable dye, leaving a varying appearance of grey—the longer the process, the more grey coverage. It’s all about personal preference, so whether you’d like a little “salt and pepper” remaining or want the grey gone, this process will look great and fade naturally, giving you a younger appearance without standing out too much. 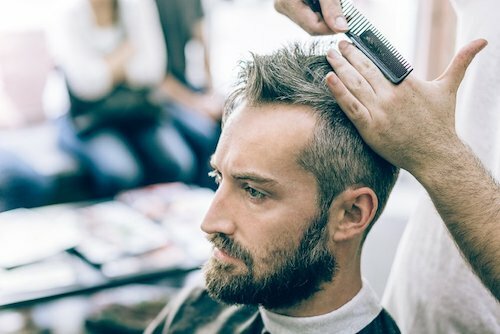 Why Choose State Street Barbers? With all the options in the city, it’s understandable that you’d want to choose the best barbershop in Chicago. At State Street Barbers, we go above and beyond for all of our guests. 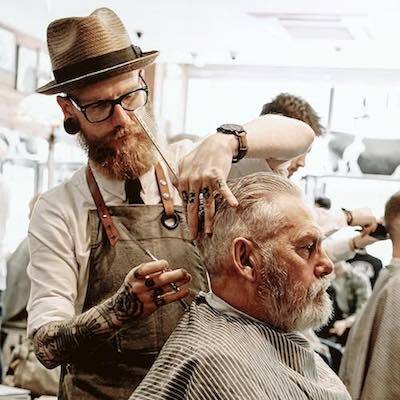 We use top-quality products, offer shoulder massages and complimentary coffee or tea during your appointment, and all of our barbers are skilled professionals ready to help you look and feel your best. Booking an appointment is easy, too—simply call or click "Book Now" above. In addition to grey blending and other men’s grooming services, we are proud to provide signature haircuts. We’re happy to offer our guests a package deal for grey blending and signature cuts. Book an appointment to have both services done at the same time and save—prices for the package are $59-62. Want to know more? Feel free to call us anytime, or schedule your appointment online today!